It's been a hot minute since we shared a Fave Five Friday post and it's high time we jumped back into it! Life gets crazy sometimes and we just have to stop and reevaluate. And that's okay! Here's what we were up to this week! 5.) The temps have been soaring here (over 90 degrees consistently!) so I'm finally breaking out my summer wardrobe in full force! I shared this cute black romper (perfect for a swim cover up!) in my How to Wear a Romper to Work post! 4.) Also on the blog this week, a Fun and Bright Backless Dress + My Favorite Backless Bra, because nobody wants an embarrassing wardrobe malfunction! 3.) 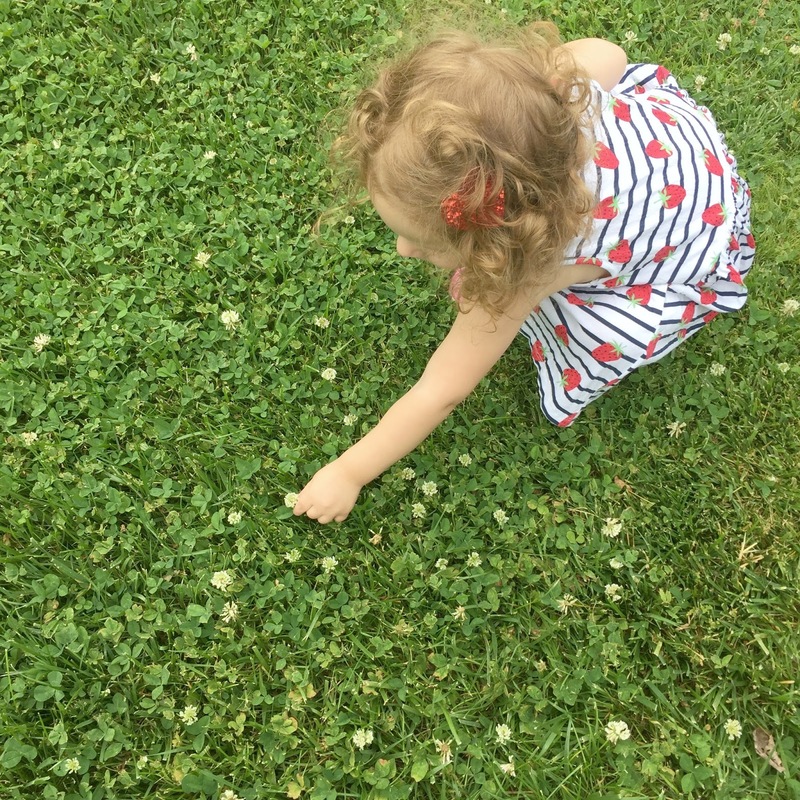 We've been enjoying a lot of outdoor play this week which includes lots of "flower" picking! 2.) Preston and I just booked our vacation and I seriously couldn't be more excited! 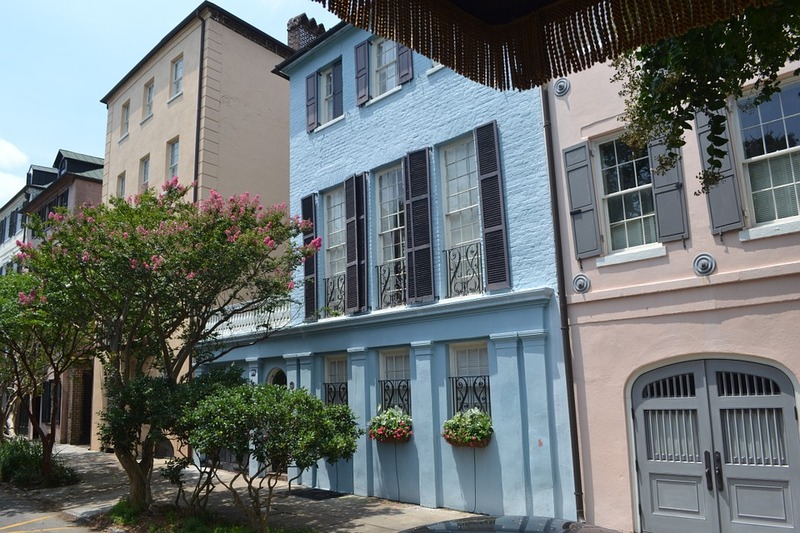 We're going to Charleston, SC--KID FREE! My mom is being an angel and keeping my kids for us for a few days so we can enjoy some much needed one on one time. Preston's been pretty busy for the last year between two jobs and school, so I'm looking forward to making up for lost time. 1.) You can't wear the same old stuff on vacation, right? ;) I had to do a little vacay outfit shopping and snagged these adorable wedges from Macy's + a super cute dress from Charlotte Russe! Now I just need to find the perfect bag. We're spending this weekend celebrating! First a birthday party for one of Lucy's friends and then Father's Day! My favorite place in the whole world is Charleston! So many great places to eat and amzing streets to walk down. Have a great time and have a great weekend! I totally agree you can't wear the same old clothes on vacation! I always go shopping before! Have fun in Charleston!